Found peace on August 2, 2017, age 69. Born on October 31, 1947, to the late, Ralph and Catherine, she was a doted upon only child. She lived in Chicago for 17 years and then moved to Greendale, WI because of her dad’s job. 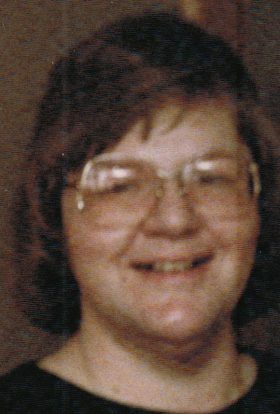 Linda loved her Illinois “rellies” as she would call them: the Hrzenjak, Persin, and Mrozek families. Linda leaves behind many who are feeling the loss: Charles Younger, her significant other for two decades; her friends including Mary Werner, Michelle Gross, Eileen Janick, Len Levine, and many others who appreciated Linda’s ease at making friends quickly and keeping them in her life. Linda’s great passion was long haired dachshunds. 8350 South Orchard View Lane, Oak Creek, Wisconsin 53154. A Celebration of Life will be held at Mt. Olivet Cemetery, Ascension Chapel, 3801 West Morgan Avenue, Milwaukee, Wisconsin on Monday, August 21, 2017 at 10:00 AM. SHE WAS SWEET-BUT SHE WAS TUFF AND HER LIFE WENT THRU SO MANY DEAD END ROADS. sHE ALWAYS MANAGED .. TO LIFT HERSELF UP.. I THINK SHE FINALLY HAD ALL HER LIFE COULD HANDLE,AND OUR lORD TOOK HER HOME.Until I see you again my friend you are in my heart.